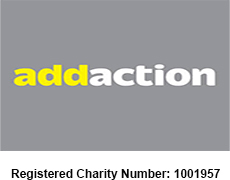 Addaction is one of the UK’s largest specialist drug and alcohol treatment charities. We believe that effective treatment needs to be tailored to the individual. Each person needs committed and caring support as they move forward step by step. Supporting people to recover is central to our work. We manage more than 120 services in 80 locations in England and Scotland that employ around 1,100 people with an annual income in excess of £41 million. We play a key role in developing new approaches to the design and delivery of services by working in partnership with other organisations at a national and local level. Putting service users in charge of their lives and placing them at the heart of our organisation is essential to achieving our charitable objectives. We will not rest until every person with drug or alcohol problems has access to the best services and support that enables them to change their lives and unlock their full potential. If you would like to help raise funds for Addaction whilst at the same time reducing the amount of waste consigned to landfill please use the contact us below. If your items are eligible, please call us on 0333 323 7677 or fill in the contact us form below and we will ensure that your items are recycled on behalf of your chosen charity. Once your free collection is arranged we will send you packing and further instruction. All proceeds go to Addaction.